Gary Simon Ballance is an English cricketer of Zimbabwean origin, who is well-known for his discipline and shrewdness in batting. 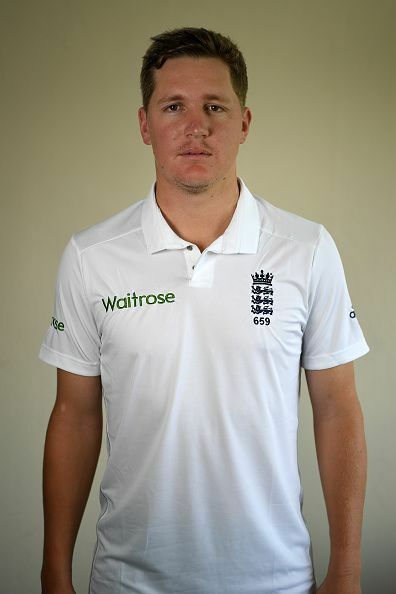 Ballance was born on 22 November 1989 in Harare, Zimbabwe. He is a left-handed batsman and a right arm leg break bowler. He started playing cricket at the school level and represented Zimbabwe at different age levels. He matured as a cricketer through these levels and then moved to England in search of better opportunities. Ballance represented Zimbabwe at the 2006 ICC Under-19 World Cup held in Sri Lanka. He scored 137 runs at an average of 27.40 in five matches and also took five wickets at 7.20. He moved to England the same year and attended the Harrow School under a sports scholarship. He represented Derbyshire as a young 16-year old schoolboy, and hit an innings of 73 runs in a Pro40 match. In 2007, Ballance signed a contract with Yorkshire and made his first-class debut in 2008 against Kent at Canterbury scoring six runs in the solitary match he played in the season. He continued working steadily on his game and amassed 862 runs in 12 matches at 47.88, including one hundred and 10 fifties in the 2011 county season. In the next season, he scored 617 runs at 38.56 in 17 matches, including one hundred and two fifties. Ballance made his ODI debut against Ireland at Dublin in September 2013 and was out for a duck after facing three deliveries. His test debut came against Australia at Sydney in January 2014. He scored a total of 25 runs in the match. In the third test match of his career, he scored his maiden test hundred against Sri Lanka at Lord's, scoring an unbeaten 104 off 188 balls in June 2014. Ballance had a couple of good county seasons in 2011 and 2012. But the season which brought prominence for Ballance was the 2013, where he brought about an avalanche of runs for Yorkshire scoring 1363 runs in 15 matches, at a staggering average of 64.90 including six hundreds and six fifties. He was the third highest run scorer in the season and the brilliant run of form saw him being included in the squad for England's tour of Australia. After England lost the services of Jonathan Trott, they found a reliable batsman in Ballance to take his place. He scored two hundred in successive Tests against India. A 110 off 203 balls at Lord's followed by a 156 off 288 balls at Southampton. He brought a barrage of 1019 runs at an average of 67.93 in his first 10 test matches which was a glorious start to his test career. Ballance had a great start to his career and thus racked up good numbers for himself. He has featured in 23 test matches scoring 1498 runs at an average of 37.45, including four hundreds and seven fifties. In limited overs format, he has scored 297 runs in 16 matches at 21.21, including two fifties. He was named the ICC Emerging Cricketer of the Year in 2014 and the Wisden Cricketer of the Year in 2015. England batsman Gary Ballance takes indefinite break from cricket "for personal reasons"